The success of Apple's iPad has all but guaranteed one inevitable outcome; an onslaught of accompanying accessories. The marketplace for iPad add-ons may not yet be as extensive as the iPhone or iPod, but it's catching up quickly and many of the industry's familiar names - including the likes of Sony, Philips and Logitech - are ready to tap in to what's traditionally a lucrative business. Logitech already has a dozen "Made for iPad" accessories available at retail, and though we had mixed feelings about the company's Tablet Keyboard, we're hoping that today's contestant - the AV Stand for iPad - will prove to be more convincing. Priced at £69.99, the AV Stand for iPad isn't particularly cheap, but then Apple accessories rarely are. For your money, you get a tidy-looking speaker dock with one notable added extra - the ability to output video to your TV. Before we get to that, let's start with the basics. Logitech's stand can be used with either first- or second-generation iPads, so you needn't worry about backward compatibility, and it'll automatically charge your tablet when docked. Useful to know, and if you intend on using other sources, there's also a 3.5mm auxiliary input jack, allowing you to easily playback audio from a wide range of devices. Despite being constructed primarily from plastic, the unit feels well built and the glossy-black finish provides a stylish look. The stand won't win any beauty contests, but it's a nice enough addition to your kitchen worktop and offers a fair amount of flexibility through a tilting, rotatable arm. 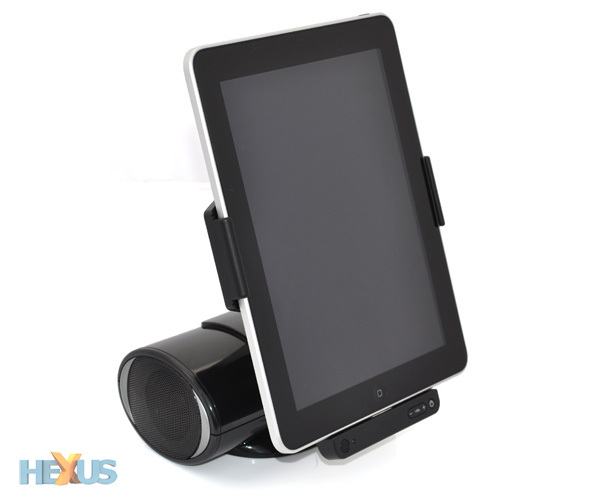 The AV Stand's arm is suitably rigid, and the ability to rotate the mount by 90 degrees is a useful touch as it allows an iPad to sit in either portrait or landscape modes. The mount securely clicks into place when switching between the two orientations, and the display angles are ideal for desktop viewing. All fairly straightforward, but the lightweight plastic base does pose a problem. Decide to the tilt the arm too far forward, and the entire unit will topple under the weight of an iPad. An obvious oversight, and one that could have been solved by limiting the tilt angle and using heftier materials for the base unit. Considering the £70 price tag, Logitech's unit feels like a fairly basic solution all round. There's no option to run off batteries - it's mains or nothing - and the video output is limited to a single composite cable. 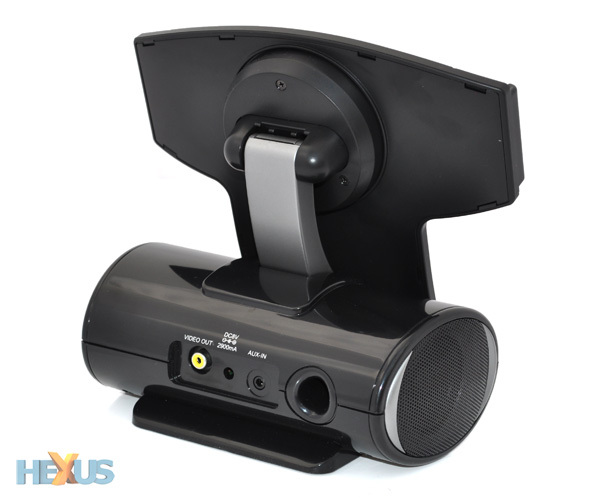 Fine for running video to your big-screen display, but it won't carry sound, so you're left to rely on the stand's 5W speakers for your audio needs. Logitech's stereo speakers may be accompanied by a bass reflex port, but don't be under any illusion - this compact unit isn't going to give you Hi-Fi-quality thrills. However, keep your expectations in check, and you'll be pleasantly surprised by the AV Stand's audio output. The speakers offer good clarity - accentuating speech particularly well - and there's just enough bass and mid-range detail to provide a well-defined sound. There's enough volume to entertain a small room, and the speakers are of course a marked improvement over the iPad's built-in solution. 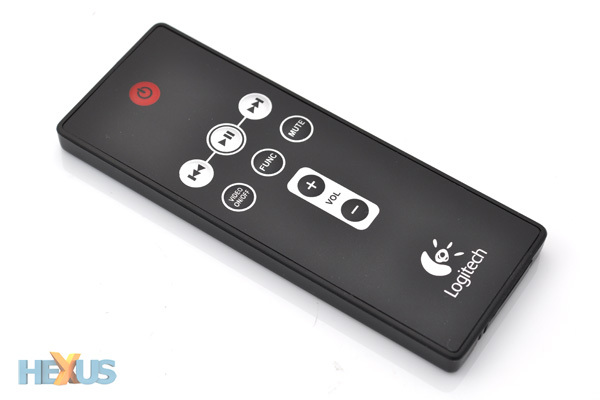 Logitech also bundles a slimline remote control that, albeit limited in function, is handy for controlling playback from a distance. 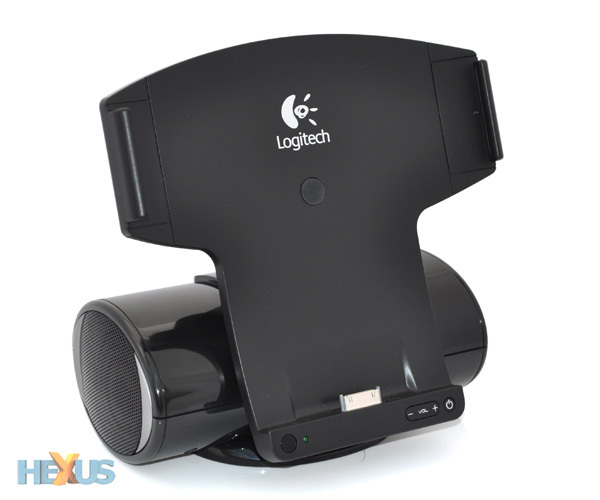 Bottom line: It's possible to spend hundreds of pounds on exotic iPad docks, but if you're looking to cover the basics, Logitech's AV Stand for iPad works well as a remote-controlled speaker, stand and charging station. 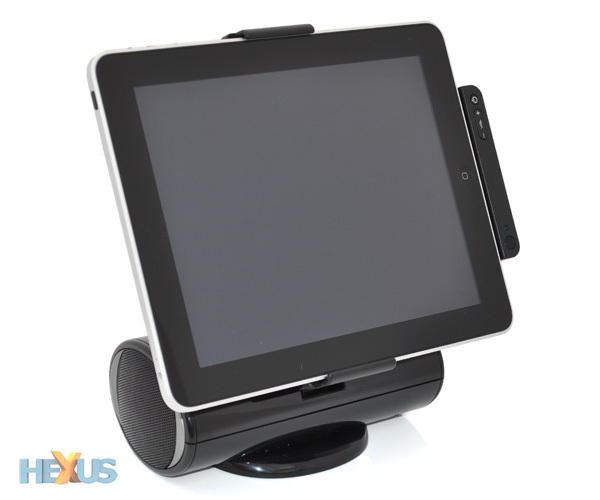 The Logitech AV Stand for iPad is available to purchase from amazon.co.uk and logitech.com.